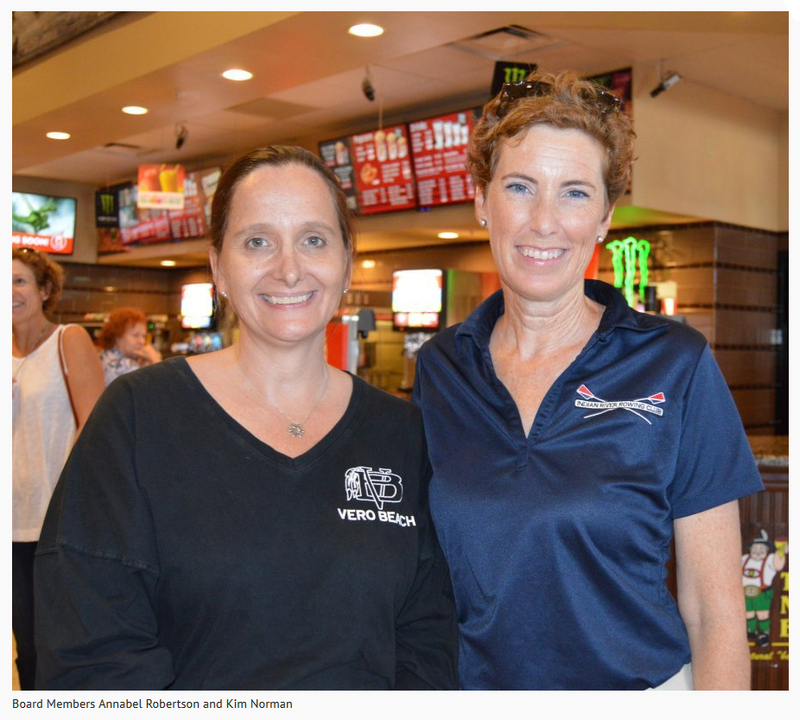 It is the club’s goal to bring the amazing sport of rowing to all residents of Vero Beach. Our masters and junior programs currently run year round and we are always looking for new members. We are working to build up programs to give back to the community and expose a wide variety of people to rowing on the Indian River Lagoon. 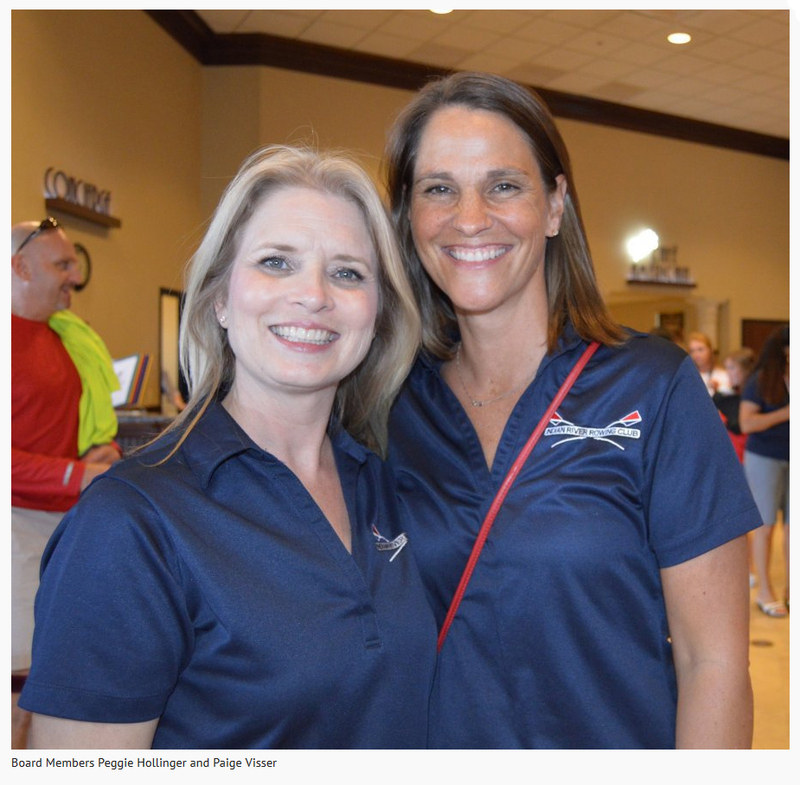 As a community-based organization, Vero Beach Rowing is providing a structure that would foster and sustain rowing among the broadest audience possible. 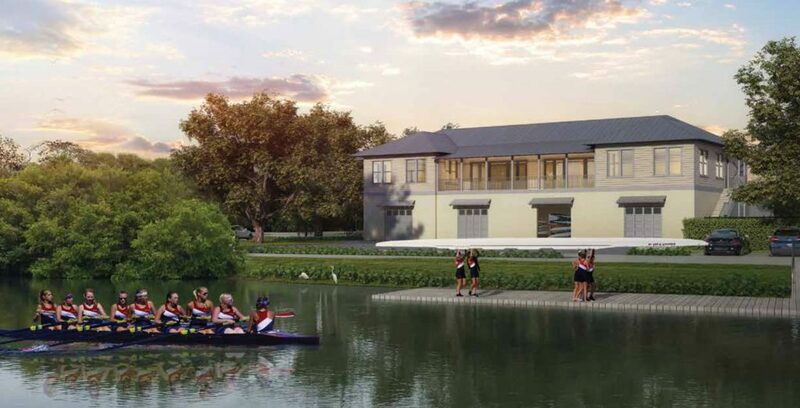 We are currently working towards building a Community Boathouse & Rowing Center which will enhance both Vero Beach’s economy and its cultural offerings. The boathouse will further emphasize our reputation as a vibrant, prestigious community offering a wide range of cultural activities to our residents and visitors. Vero Beach is an ideal location for visiting crews to train. 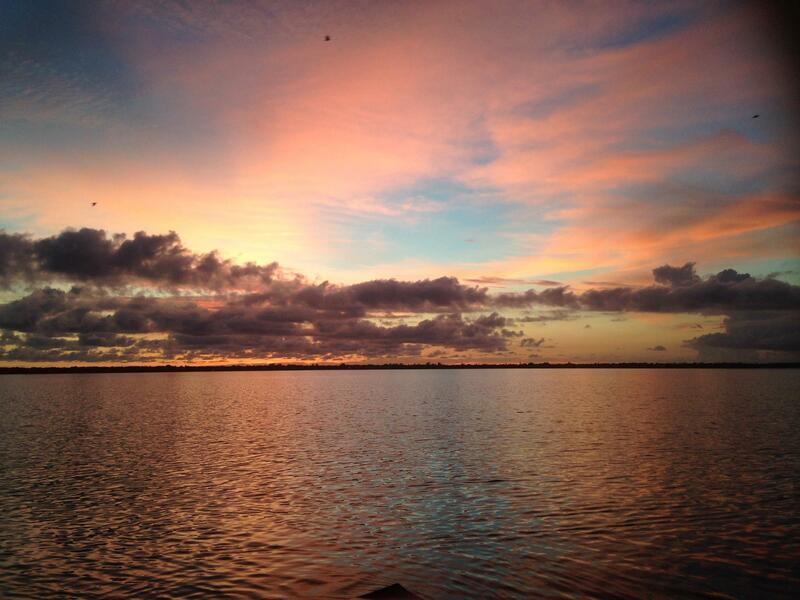 We have plenty of protected water and our rowing site is only a few minutes from the beach. Our new facility already has extra rack space for visiting crews to store boats safely and once the boathouse is finished, the current facility will be left in place for visiting crews to use. 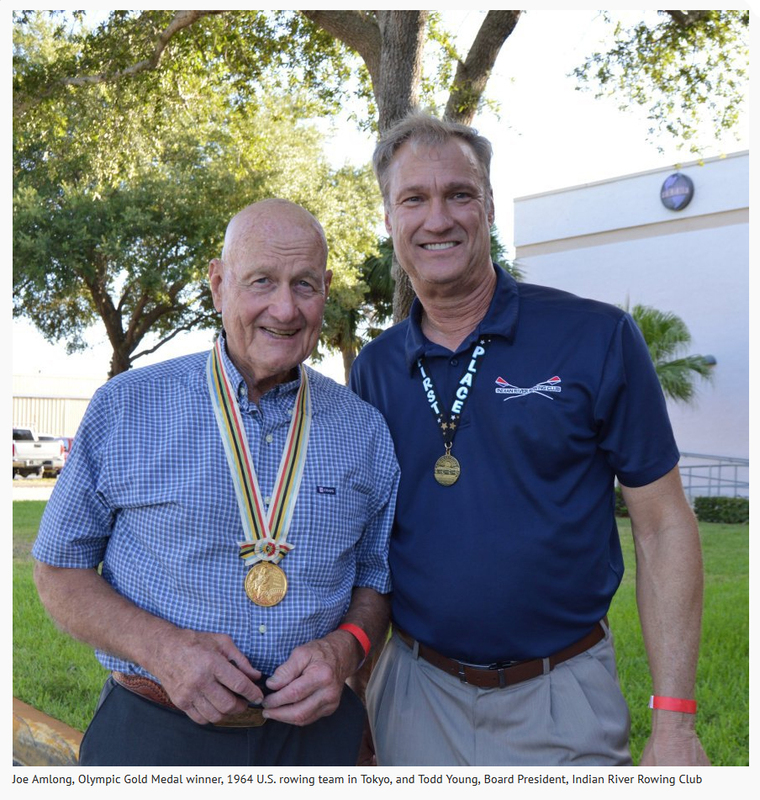 Board Member, Chris Pensch (right) with Vero’s Olympic Gold Medal winner, Joe Amlong (left), a member of the U.S. rowing team that took top honors at the 1964 Olympics in Tokyo.